Jumper’s Knee, also known as Patellar tendonitis is a condition caused by overstraining of the patellar tendon due to repetitive, unusual and / or acute tension in the area where the tendon connects to the bone. Thus, athletes who perform sports requiring a lot of jumping, such as volleyball, basketball, high jump or long jump, but also runners and football players are particularly prone to patellar tendonitis / jumper’s knee. Patients with patellar tendonitis / jumper’s knee report pain at the bottom and front of the kneecap, especially when pressing or palpating this area as well as the area around the inferior tip of the patella, which increases during physical activity. 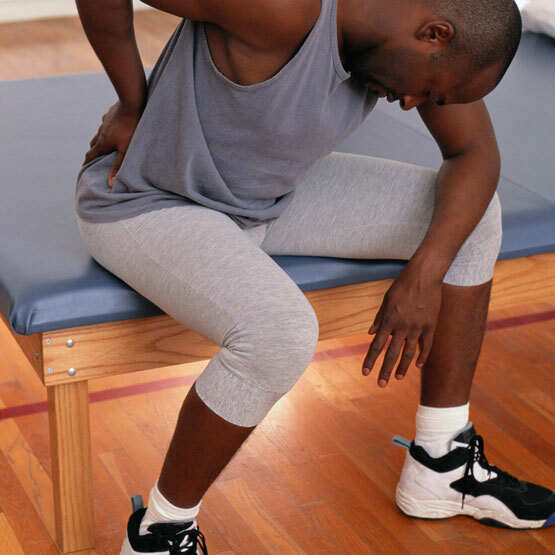 Initially the pain may disappear during sports activities and return again after the sports activity has ended. In advanced stages of this condition the pain remains present throughout the whole activity. Studies have shown that ESWT can be a useful non-invasive treatment to reduce pain and inflammation. Focused shockwave therapy to treat trigger points triggered by jumper’s knee has been shown to improve pain conditions and outcomes.